On September 4, the 31st season of the leading fashion exhibition CPM – Collection Premiere Moscow, opened the doors. Designer brands from 27 countries presented over 1280 fashion collections for the next spring-summer 2019 season in Moscow. 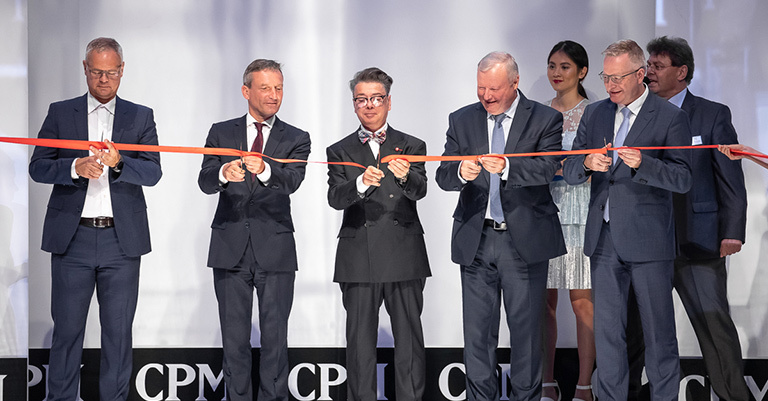 The most famous Russian fashion designer Valentin Yudashkin, the head of his own fashion house and a regular participant of the Paris fashion week, was the guest of honor at the CPM opening ceremony. Mr. Thomas Geisel, the Lord Mayor of Dusseldorf, the capital of North Rhine-Westphalia, addressed his welcome speech to the guests of the exhibition on the stage. Ekaterina Odintsova, Galina Yudashkina, Konstantin Andrikopulos and many other celebrities came to support the new season’s exhibition during the very first hours of the opening day. The star guests got acquainted with the collections of women’s, men’s and children’s clothing, lingerie and beach fashion, shoes and accessories, and many of them said that visiting CPM has already become a good tradition. Ekaterina Drobysh said that she always meets her designer friends here and considers the exhibition to be an excellent platform for bringing people from different countries together. 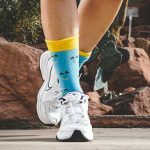 Anna Chicherova comes here to replenish her “baggage of fashion knowledge”, and Irina Lachina gladly visits CPM and enjoys a variety of design solutions. Miroslava Karpovich, not having a lot of experience of visiting such events, mentioned that some of her friends get ready for a visit here as for a social event: they do makeup, hairstyle, and put on elegant evening gowns. And it is understandable: once you get here, you realize, that this is a real celebration of fashion. Aya, the lead singer of the “City 312” group, also came to CPM for the first time and immediately appreciated the special atmosphere. There were also those who made pleasant fashion discoveries for themselves, and some visited the stands of their favorite brands. Some famous people also attended an evening event dedicated to the relaunch of the CPM Body & Beach section of lingerie and beachwear. Exclusive cocktail party “COLOMBIA. 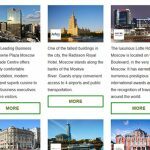 LAND OF SABROSURA” was visited by high-ranking guests, including Alfonso Lopez Caballero, the Ambassador of the Republic of Colombia, directors of textile factories, famous buyers and Russian celebrities such as Anastasia Makeeva, Ruslan and Elena Nigmatullin. The event was hosted by Ekaterina Odintsova. After a small official part, the hot salsa rhythms moved those present from the center of Moscow to an exotic Colombian beach with its unique atmosphere, it was getting hotter by the minute. On the stage, decorated with sunbeds, appeared the models in swimsuits and beachwear from Colombian manufacturers presented at CPM. The guests admitted that they couldn’t recall such a creative show in the lingerie and swimwear segment: a real performance was held for them in the style of Latin American TV Soaps, where love, passion and fashion got intertwined. Just a few minutes after the show had started, Anastasia Makeeva admitted that she wanted to go to Colombia. “I have never been to this country before, but now I can’t get rid of the wish to go there! I want to wear a hat, shorts, the same ones as on the models, and go straight ahead to visit handsome Colombian men! ”- Anastasia shared her emotions. The star guests also appreciated the interactive and creative finds, which made the show different from others. Among the brands that took part in the show were noted Lau De La, Prints Lab, Smeralda, Fajeta and Kibys. 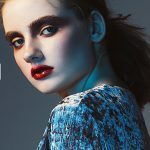 The next CPM – Collection Première Moscow will be held from February 25 to February 28, 2019 at the Expocentre Fairgrounds in Moscow. 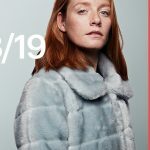 Russian and international manufacturers will present their collections of the autumn-winter season 2019/20.